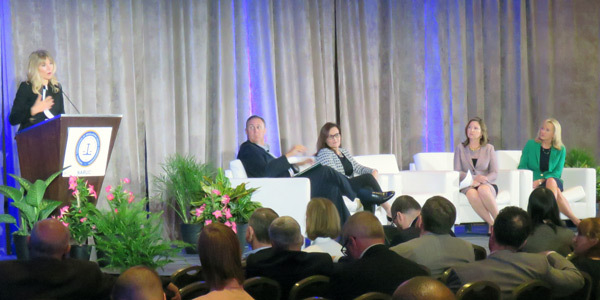 SAN DIEGO — More than 1,000 people attended the National Association of Regulatory Utility Commissioners’ Summer Policy Summit last week. Here’s some of what we heard. 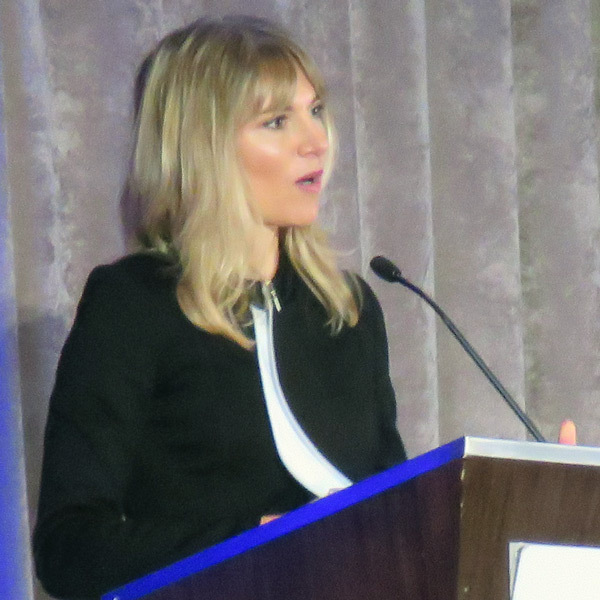 Sunrun CEO Lynn Jurich said that the task for regulators and industry is to figure out what value distributed energy resources bring to the grid, and which business models and rate designs would work best. She said rooftop solar could be connected directly at the utility level to be dispatched when it is needed. “Too often we are stuck fighting rate designs that appear to slow the growth of the rooftop solar,” Jurich said. “Let’s work together to actually maximize the value of these assets to the entire system.” Solar companies know how to market the technology to consumers, but utilities best know how to integrate the systems in the most efficient way, she said. 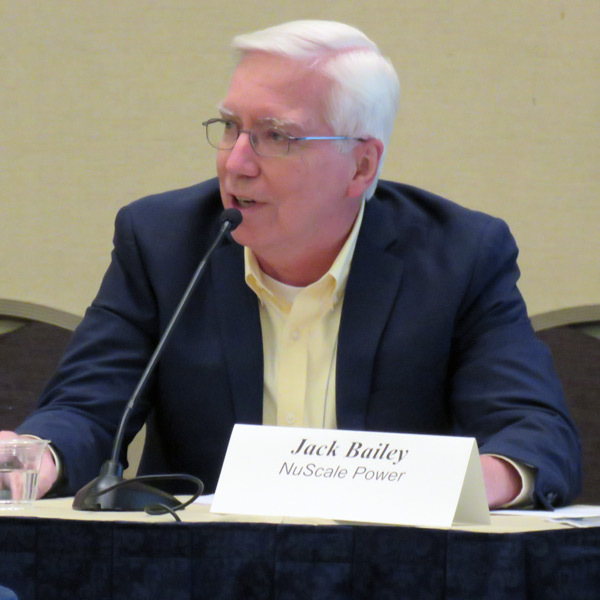 NuScale Power Vice President Jack Bailey said that the Nuclear Regulatory Commission is reviewing the company’s small modular reactor design, but it will take 46 months to approve the 12,000-page application. Oregon-based NuScale is the first small modular reactor company to seek approval of the technology. The company filed for approval of its design in January, an effort that took more than 800 people over two years. The 12 50-MW modules — 600 MW in total — are planned to be built on the site of the Idaho National Laboratory, owned by Utah Associated Municipal Power Systems and operated by Energy Northwest. Asked what the reaction has been from the environmental community, Bailey said, “I would say it’s a mixed bag overall, but we are seeing some support.” He is also hopeful that the federal government will take steps to solve the problem of where to store spent nuclear fuel. Katrina McMurrian of Nuclear Waste Strategy Coalition said she is hopeful the federal government will revisit the stalled Yucca Mountain nuclear waste disposal site in Nevada. The U.S. Nuclear Waste Fund contains more than $40 billion, accruing interest of $1.5 billion/year, but fee collection has stopped because of a suit brought by NARUC and others. President Trump proposed to restart Yucca with $100 million in his budget proposal, and $10 million for an interim storage program to a private or federal facility while Yucca is completed. The Senate last week approved funding for an interim storage site for nuclear waste, but unlike the House of Representatives, did not include money for restarting Yucca. “The hope is to see both sides put something together that they can conference and actually fund both of these priorities,” McMurrian said. Rep. John Shimkus (R-Ill.) has introduced legislation that would set a time limit for NRC to approve Yucca and allows the Energy Department to permit an interim facility while the facility is licensed. 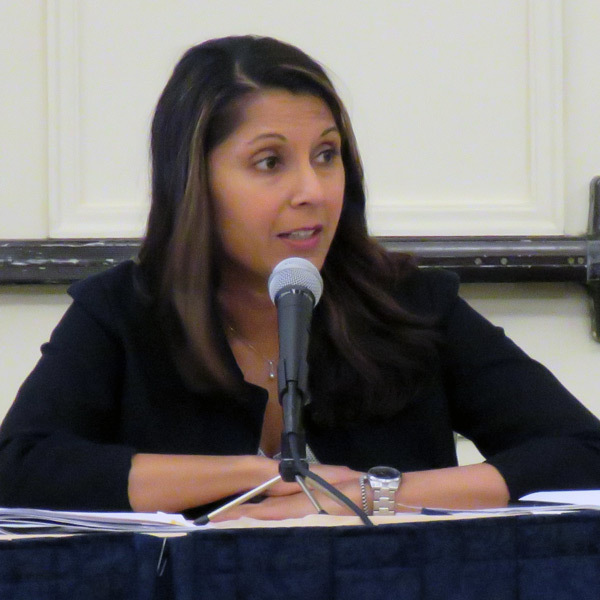 Dipka Bhambhani, communications director of the United States Energy Association, said her group is working with the International Gas Union to support the 27th World Gas Conference in D.C. on June 25-29, 2018. It will be the first time in 30 years that the U.S. has hosted the triennial event, which has been held since 1931, and the first time that the host country is both the largest producer and consumer of natural gas, she told the NARUC Gas Committee. USEA is a liaison to the Energy Department for the conference and is helping to manage communications for the event. A record 1,600 people attended the NARUC winter meetings. Here’s some of what we heard. 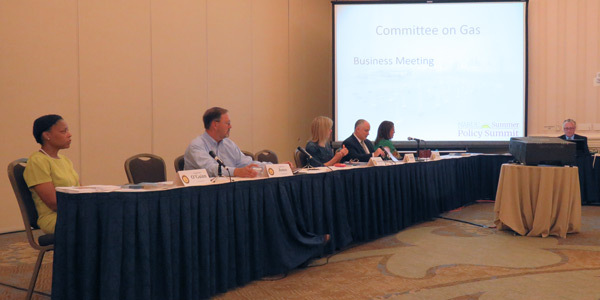 A NARUC winter meeting panel discussed the prospects of restarting the canceled Yucca Mountain project and a broader solution to nuclear waste. Rep. Greg Walden told the NARUC winter meeting that the House Energy and Commerce Committee will hew close to traditional party positions.